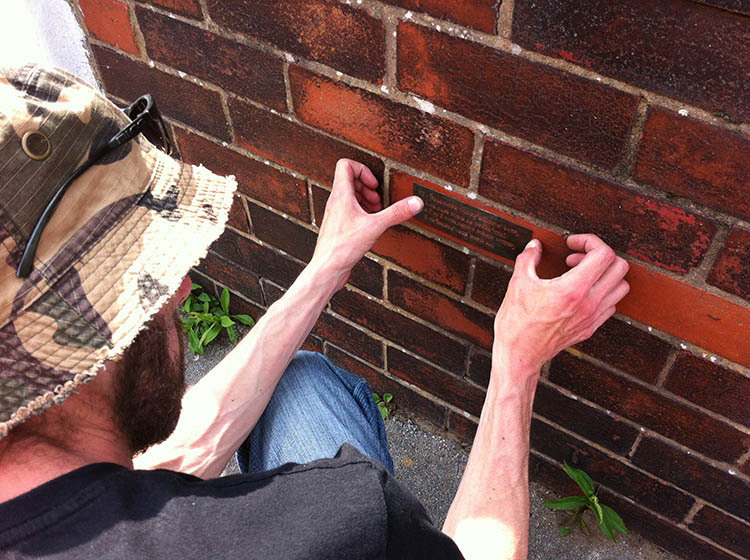 Copper poem plaques: art works created by Mr Dee as part of the Art Trail in St Annes. Thanks to Melanie and Jane at the Attik, St Annes for supporting us and St. Anne’s on The Sea Town Council for funding the work. We have set a competition for people to find all 10 plaques situated throughout St Annes. 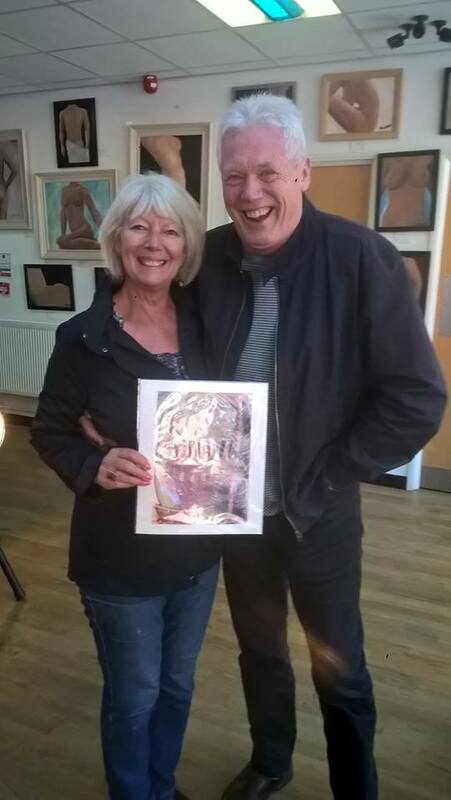 First Prize went to Dee Webb and Richard Hone worthy 1st winners of an original work of art. Having completed the arts trail hunt ‘The Difference’ by Boz Phillips andMisterDee ToYou. Proving that it can be done! There is still time…the Arts trail hunt will continue during the festival of the seaside with 4 pieces of art still to be won. Pop in to Urban Arts Studio, 11-12 Back St. Annes Road West, FY8 1RD Lytham St Annes, to pick up the 10 clues and come back to us to collect your prize. It’s a treasure hunt with a different pot of gold. Working with Glass Artist Colette Halsted, Boz Phillips created two of the plaques in glass. During August we will be working with Horizon Blackpool to create art works on a static Blackpool Tram, situated near the Sandcastle Blackpool. We are currently working with two groups on their designs and ideas. 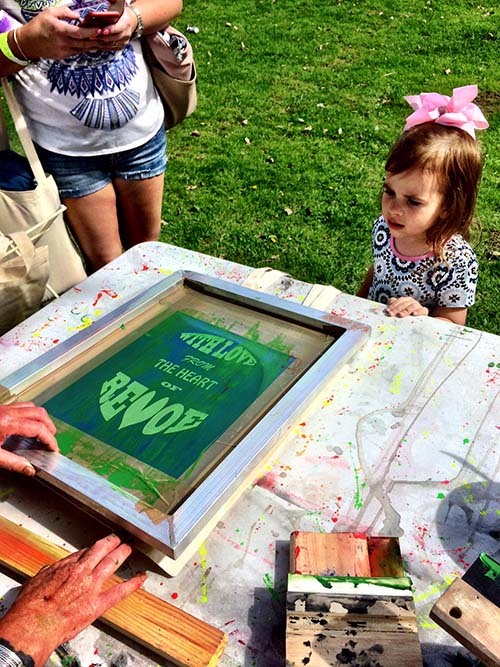 On August 16th we created screen printed bags with Revoe residents on Revoe Park for the Revoe-lution Fund Day. 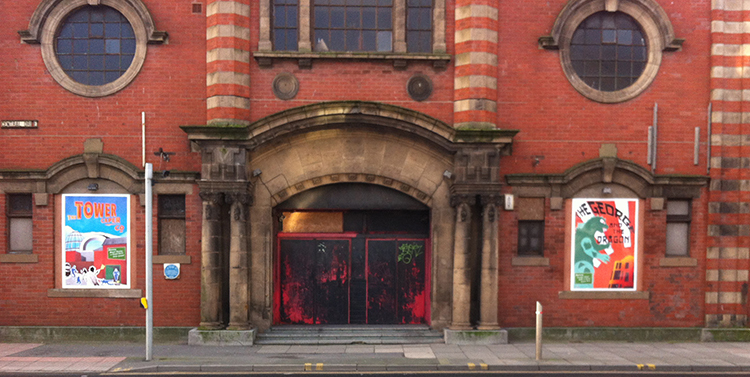 Posters project – King Edward Picture House. 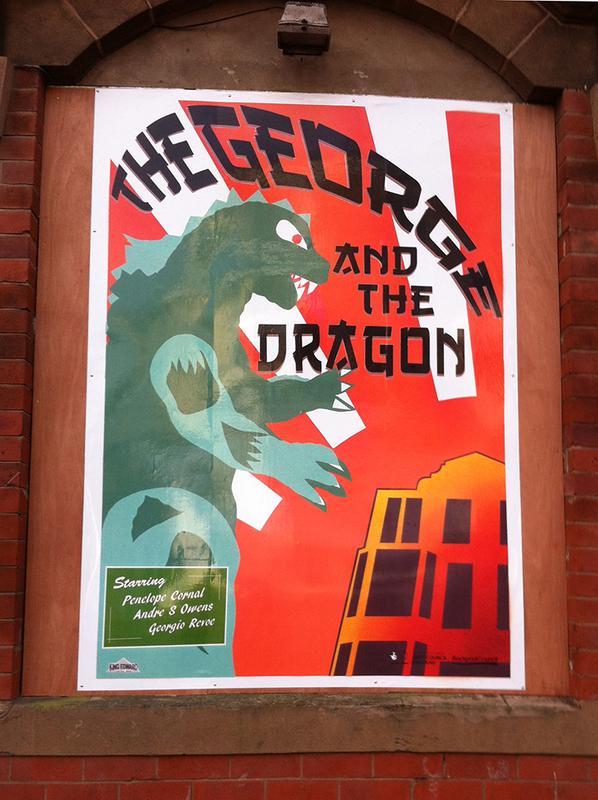 Posters in situ on the front of King Edward Picture House. 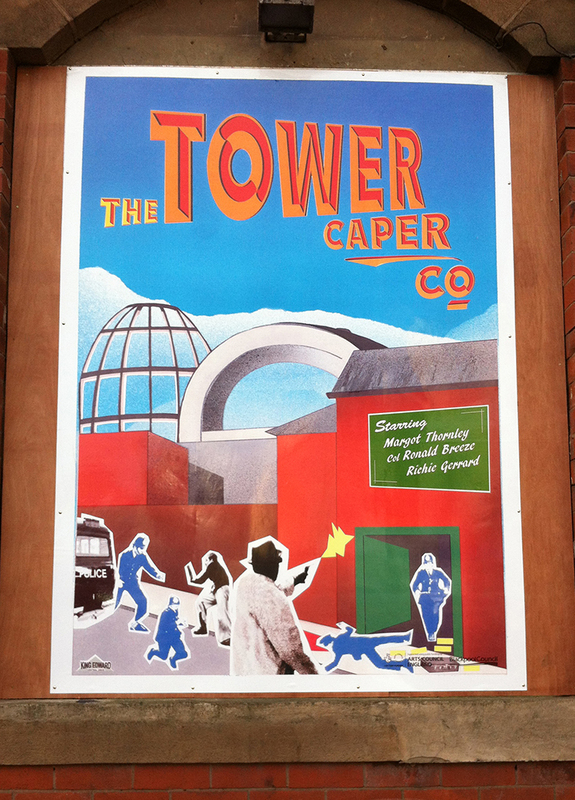 At the end of last year we worked with Hand Made Un’s Art Club participants and the local community to create these posters for the front of the King Edward Picture House on Central Drive. Designs and ideas came from the participants. The posters went up in January. 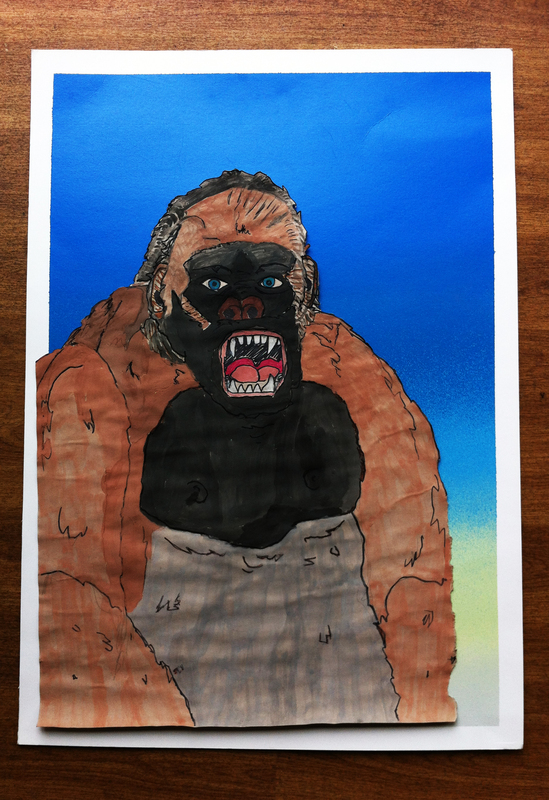 Looking forward to creating two new posters for the King Edward soon: working with our Art Club members @ Hand Made ‘Un’s Art Club Ibbison Court Community Center. Poster in progress from Margaret and Andy. On Saturday 20th May. 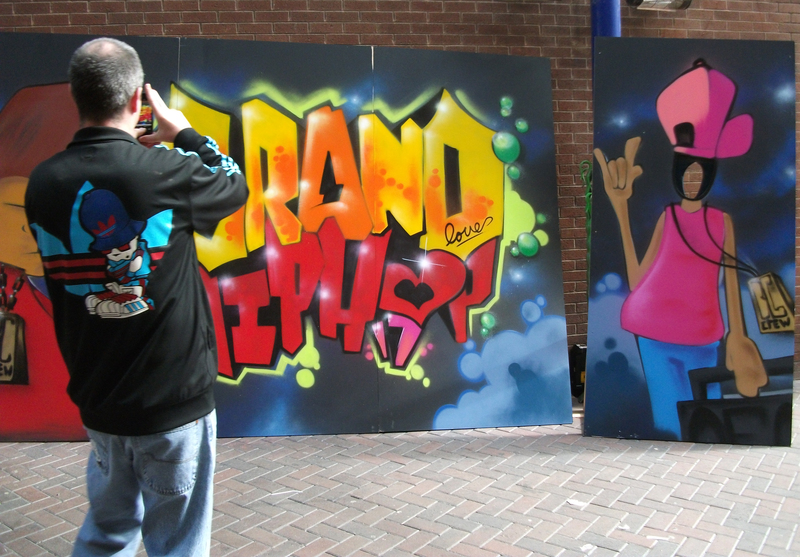 Mr Dee Live painting at Matcham Court, Blackpool Grand Theater ‘Hip Hop Takeover’ as part of the lead in event to Breakin’ Convention on Saturday 27th May. Mr Dee: Graffiti Art Work, Back St Annes West, part of the Art Trail in 2016 St Annes-On-Sea, Lancashire. Although we are a very small organisation we like to look at the bigger picture. 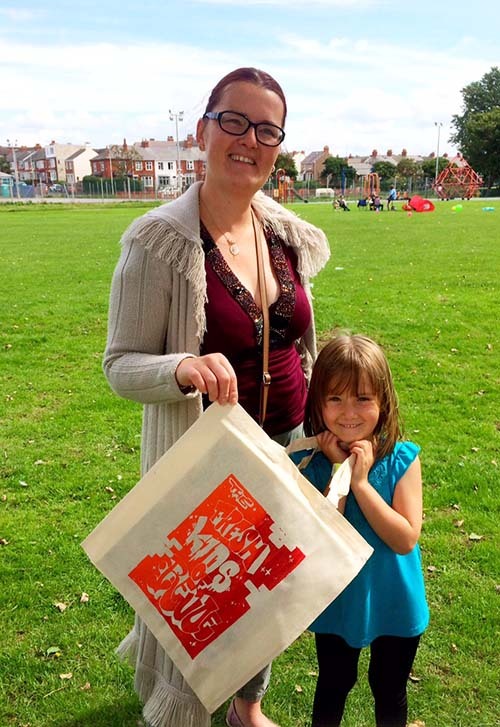 We try to reach as many community members, local artists and organisations as we can: building on each project to create a network of creative thinking and making throughout the Fylde Coast. We are in the process of identifying funding and grants to carry out creative projects and activities in St Annes this year. We are also currently seeking individuals, groups and organisations who would benefit from working in partnership with us in St Annes. 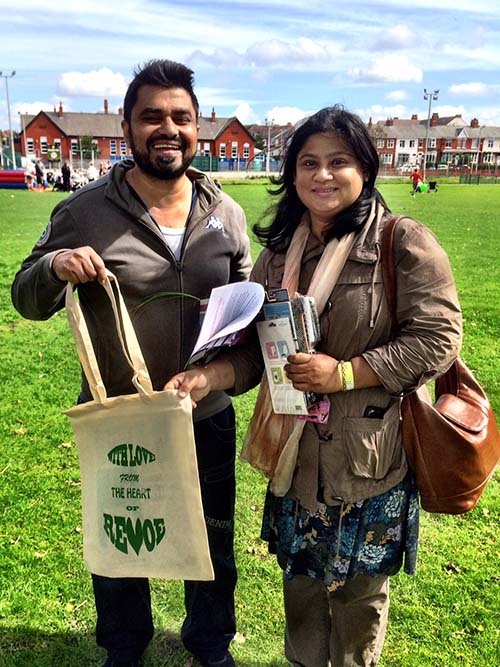 We were at the Revoe-lution AGM on Saturday 08/04/2017 doing a workshop and showing photos and information from previous workshops, to the local community. The workshops funded by the Revoe-Lution ‘Community Chest’ grant enabled us to work in partnership with the youth outreach team this February. 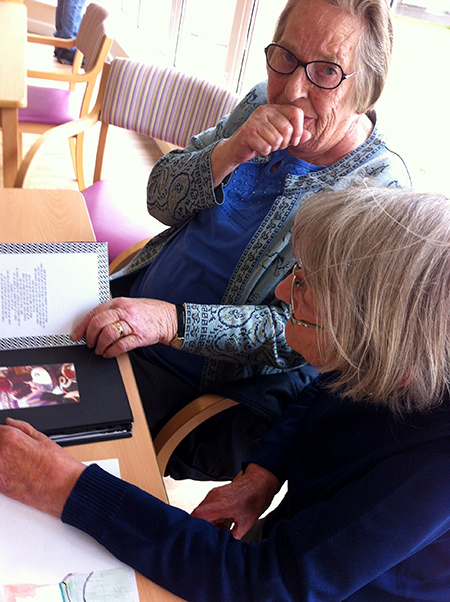 Joanne’s ‘Crazy Cat’ book getting an expert appraisal. June 30th at Art Club. 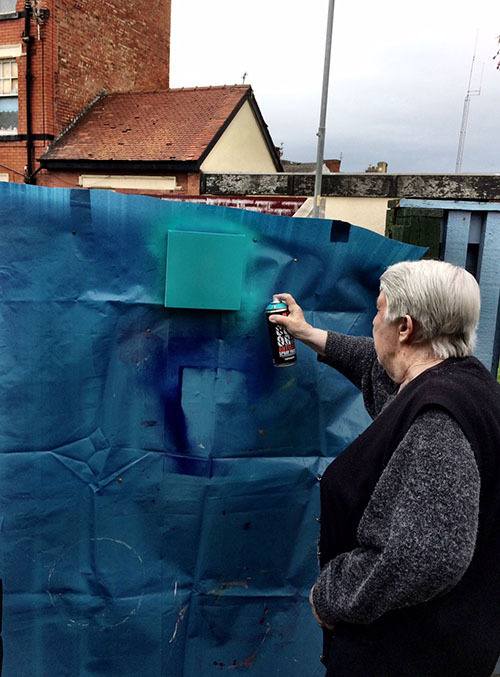 In 2016 we received funding from BCH (Blackpool Coastal Housing) that we are utalising in 2017 to reach people in the community who may feel isolated or who miss out on opportunities for creative engagement due to circumstances beyond their control. 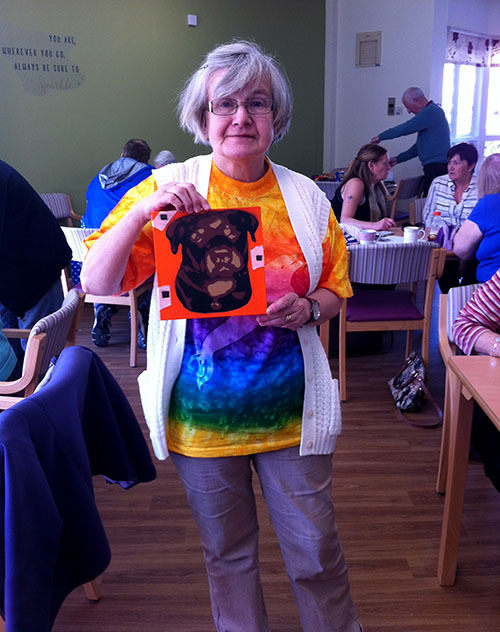 ‘Art Buddies’ began this January in the Revoe area of Blackpool and is continuing successfully. 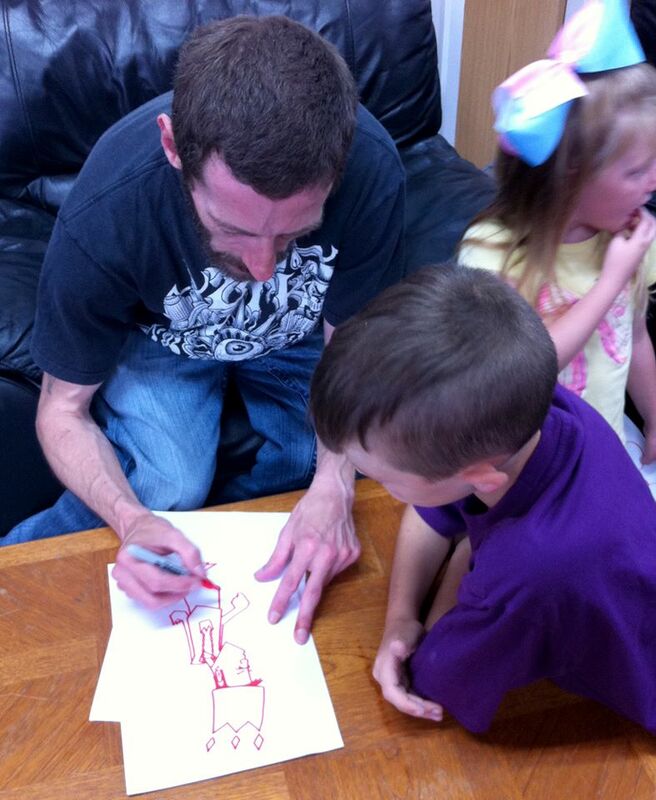 Reaching individuals to engage in creative activities. 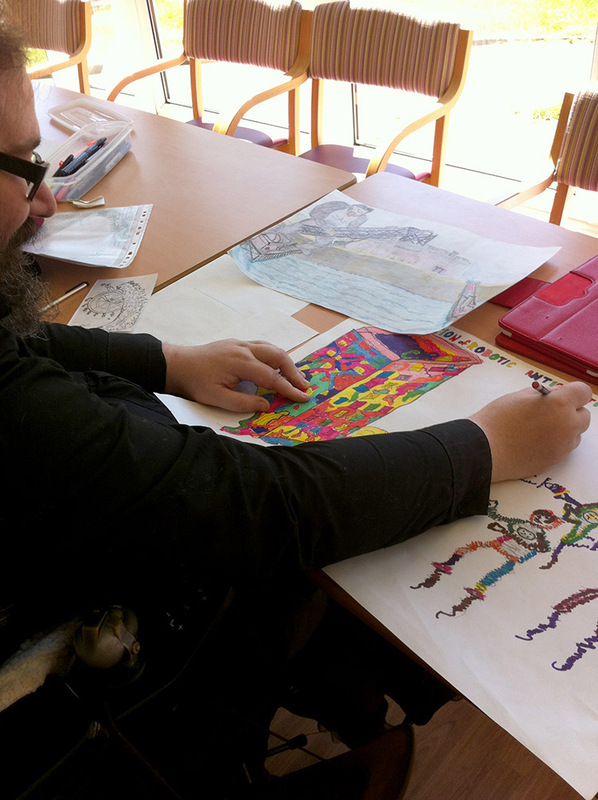 Two of our ‘Art Buddies’ Joanne and Stephen are now coming along to the ‘Hand Made Un’s’ art club. Joanne and Stephen have been working on books and posters. 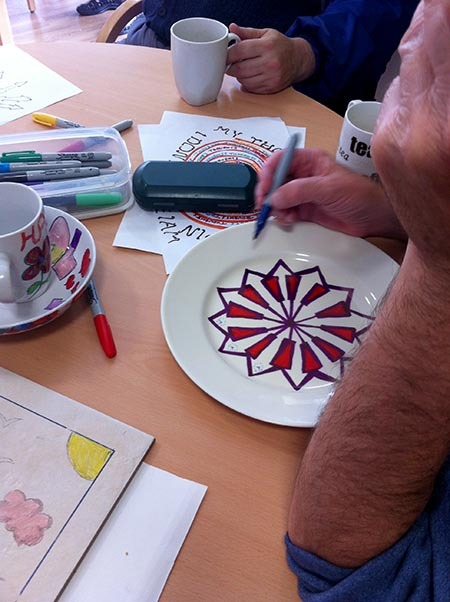 We created stencil canvases and hand draw table ware. 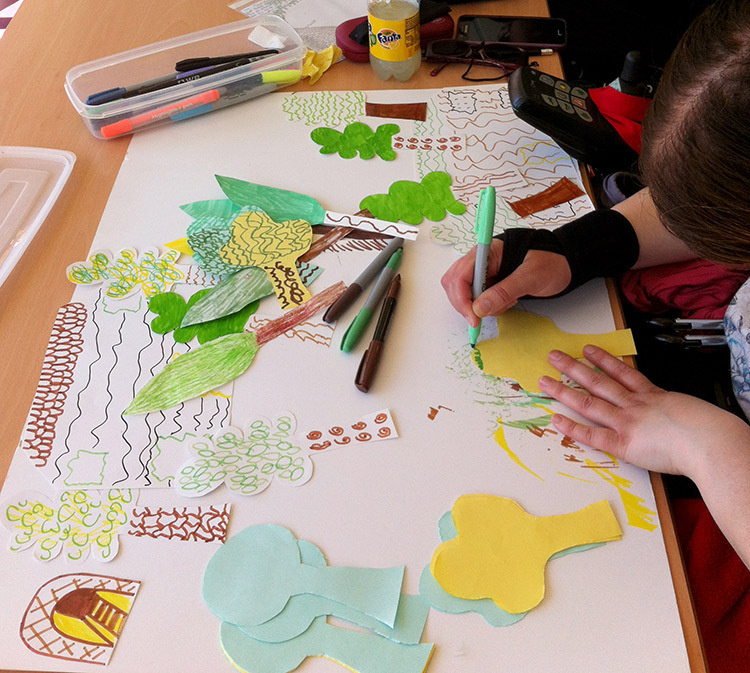 Receiving local funding and working with local organisations enables us to engage with communities, local artists and individuals at a grassroots level. 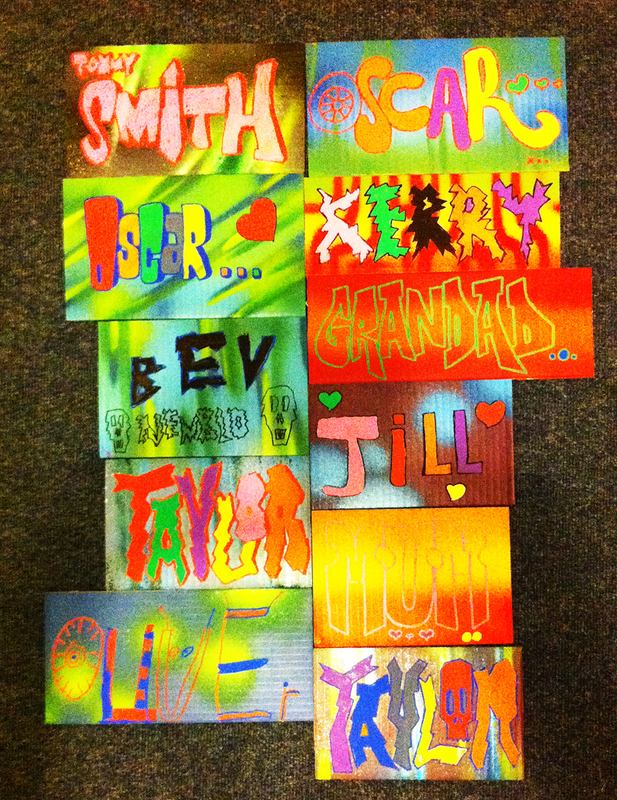 POSCA pens for the valuable contribution of pens to us.